One of my most favorite projects to date! 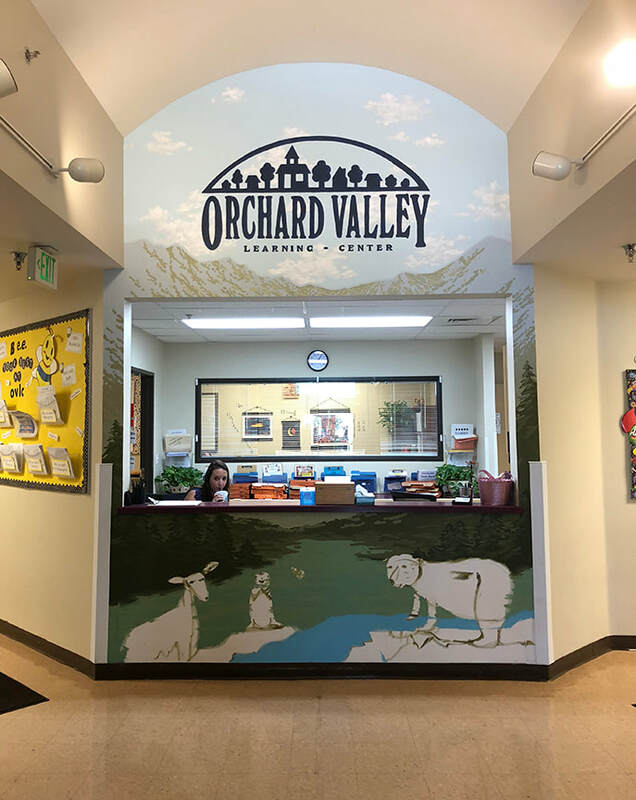 This is the front entranceway to Orchard Valley Learning Center preschool and daycare in Centennial, Colorado. 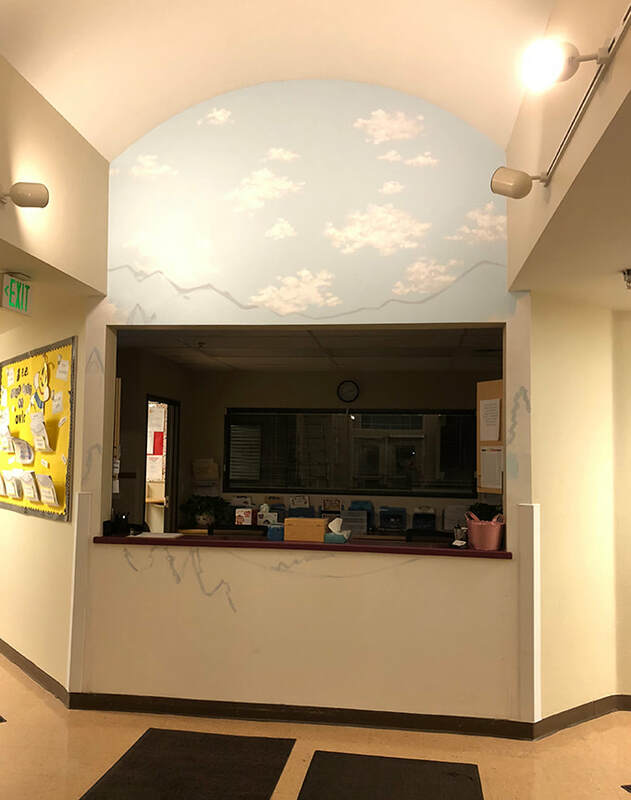 Their front wall was in need of some kid-friendly excitement and color! 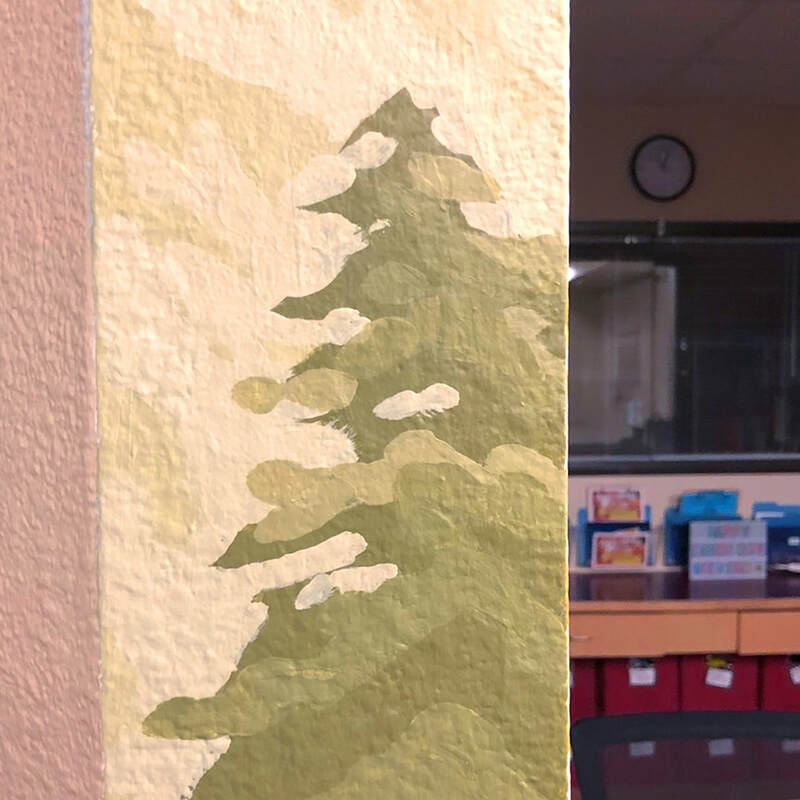 The whole school's theme is based on national parks, so that was the main inspiration for this mural. I went with the Rocky Mountain National Park as my guide, and included Colorado native animals to populate the environment. I loved making this transformation possible! This is 9' x 12' high. Here's how the wall looked when I first arrived! Needing color. Painting clouds 12' in the air. Making sure that logo is centered! Painting columbines--the state flower of Colorado. 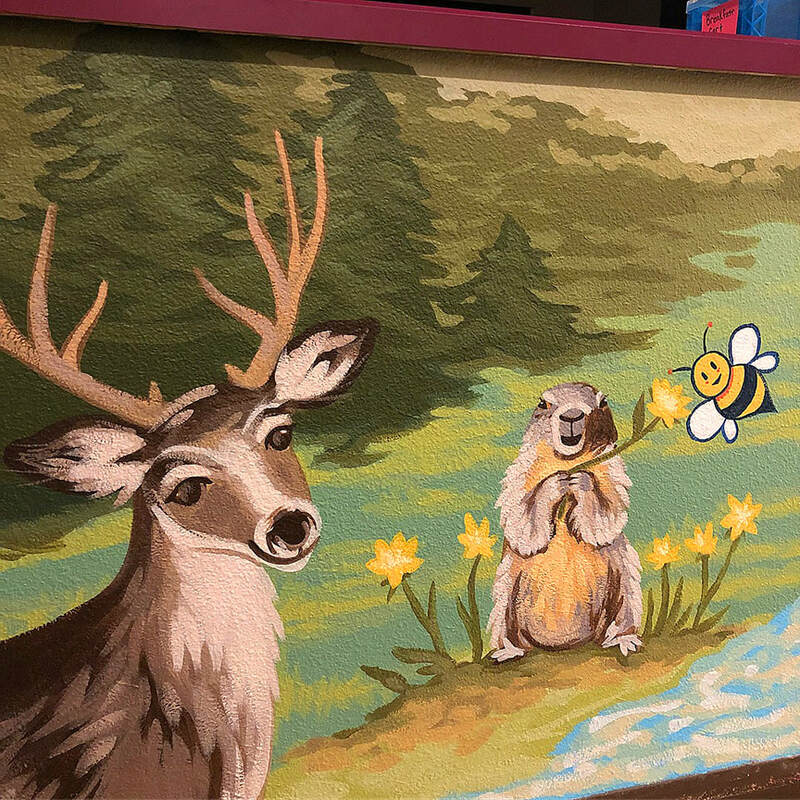 A mule deer and yellow-bellied marmot! 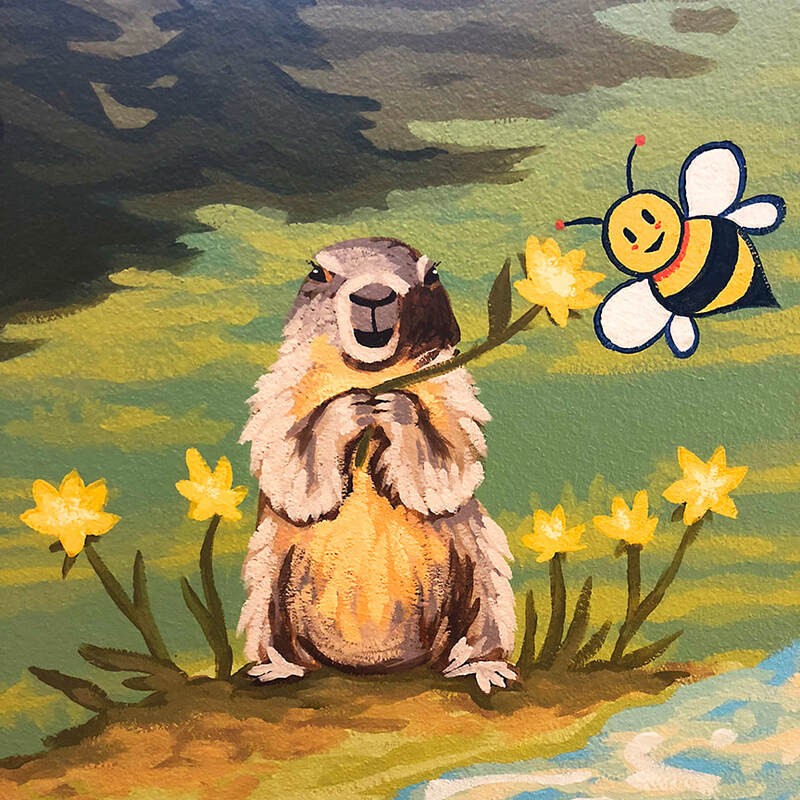 That bee is another logo I was able to work into the mural. I'm really pleased with how this turned out! 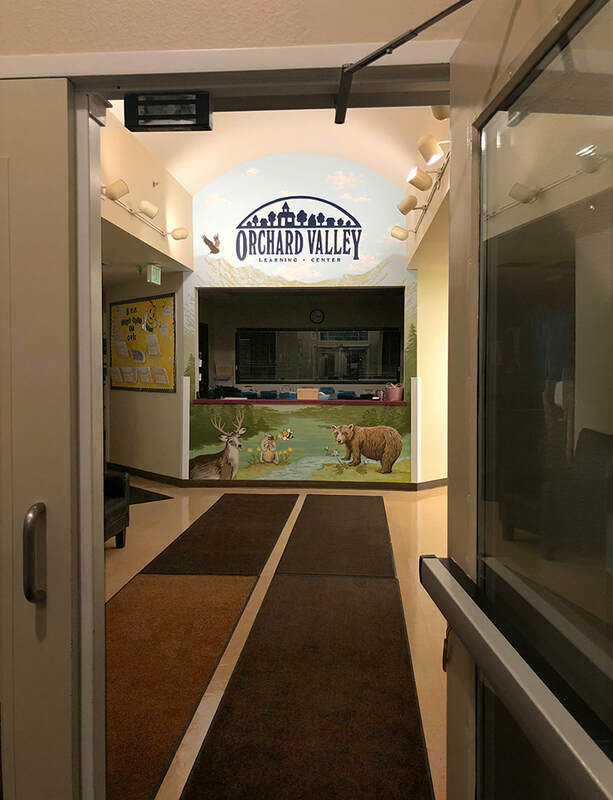 It was a big change for this sweet school.